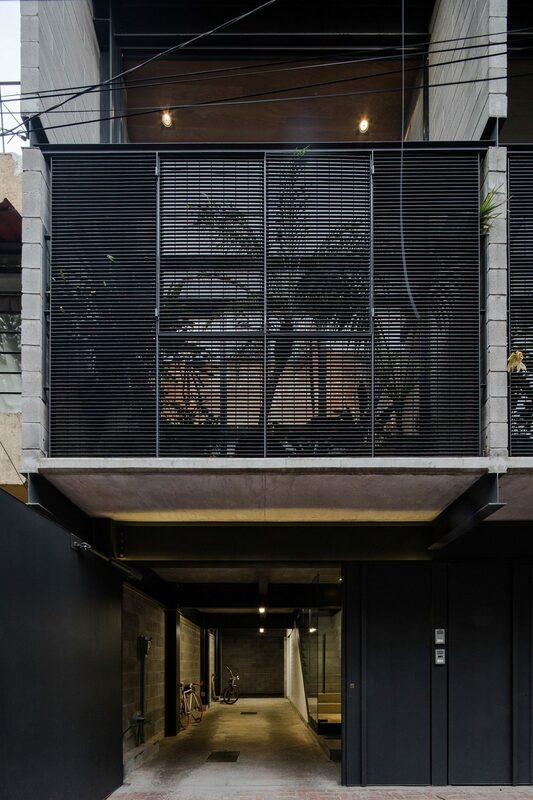 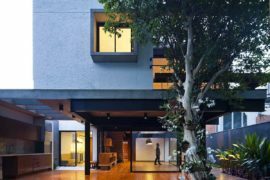 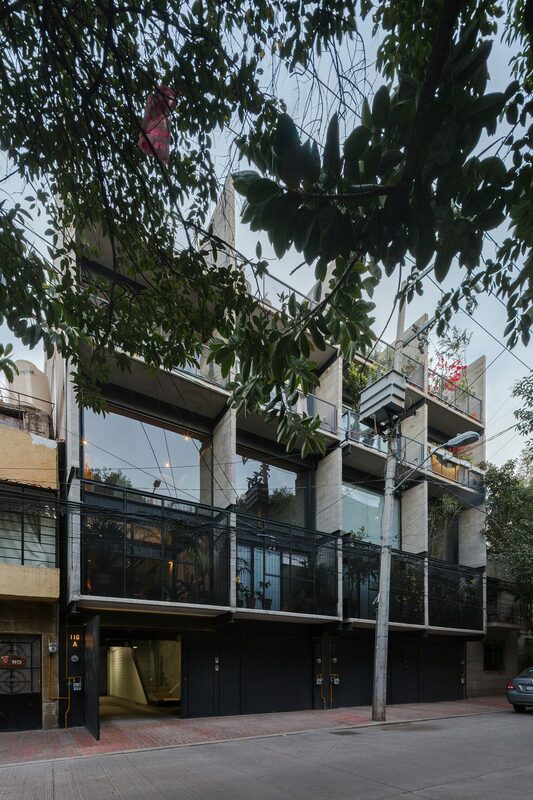 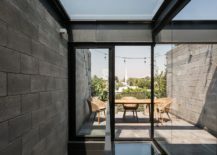 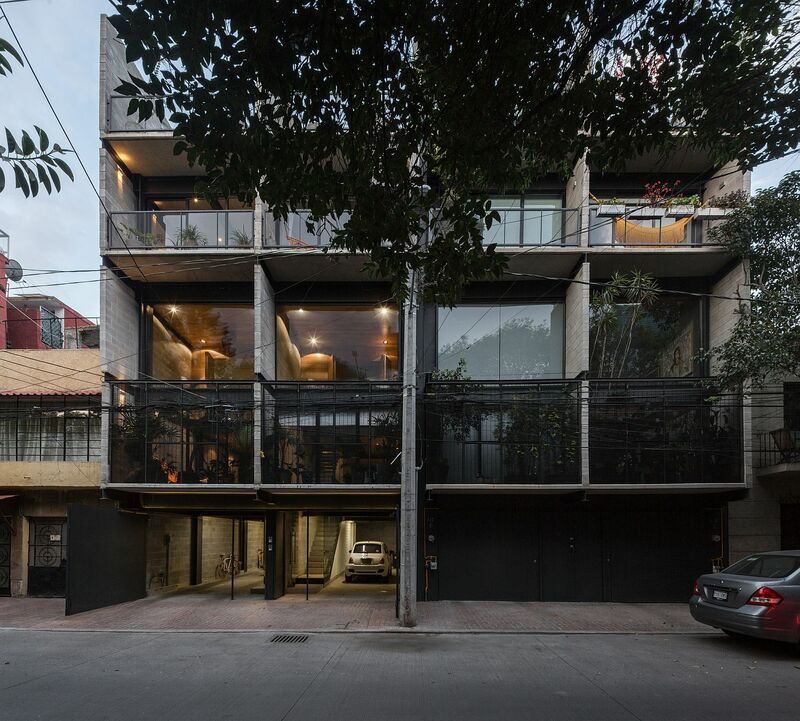 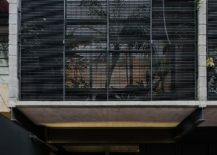 Maximizing space, privacy and a special connection with greenery, Townhouses Hipódromo provides a secluded oasis amidst the increasingly cluttered and noisy landscape of Mexico City. 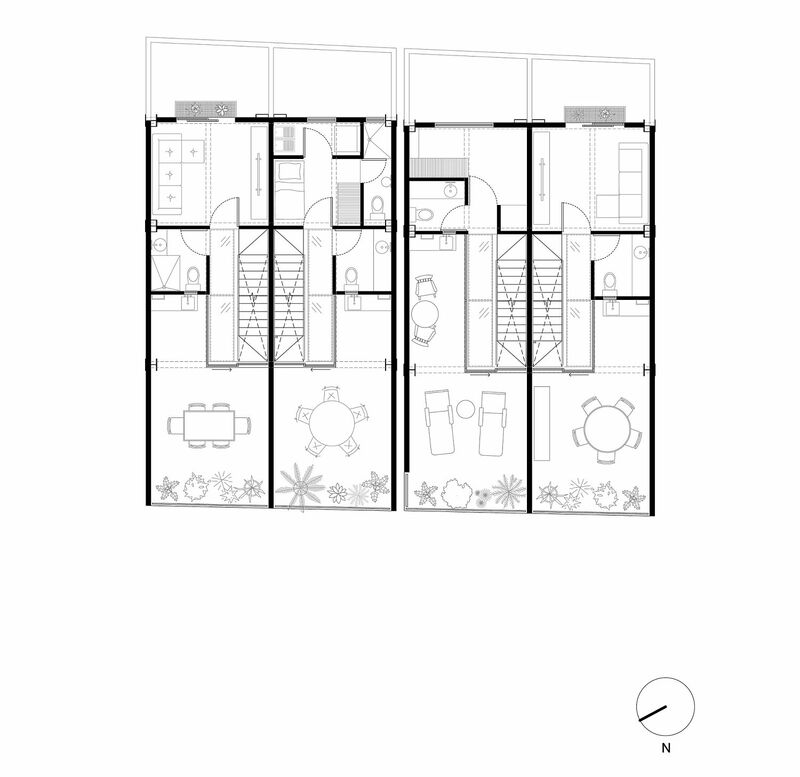 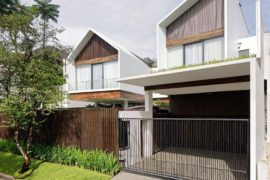 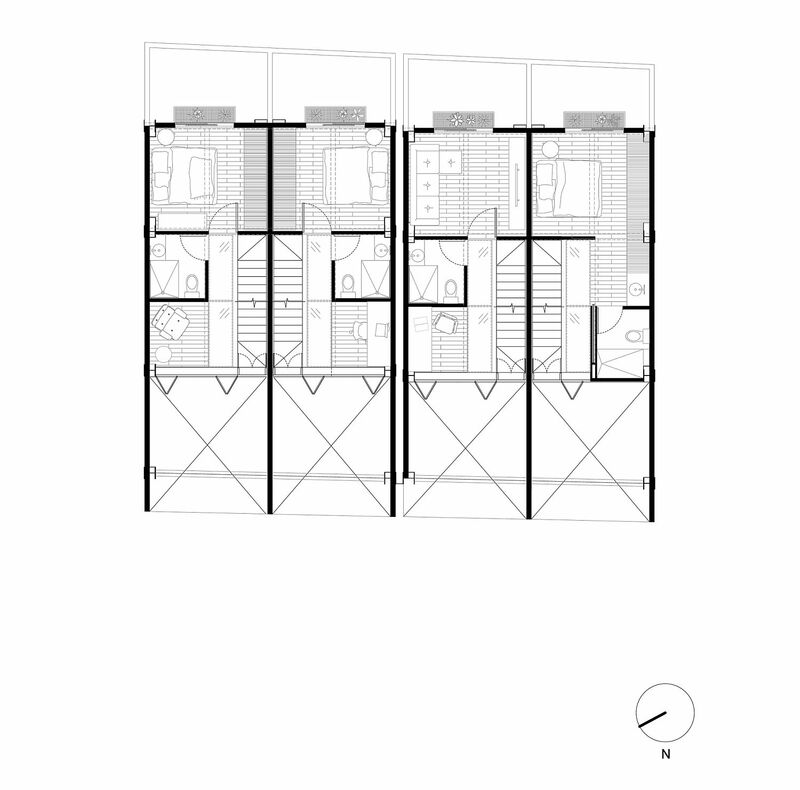 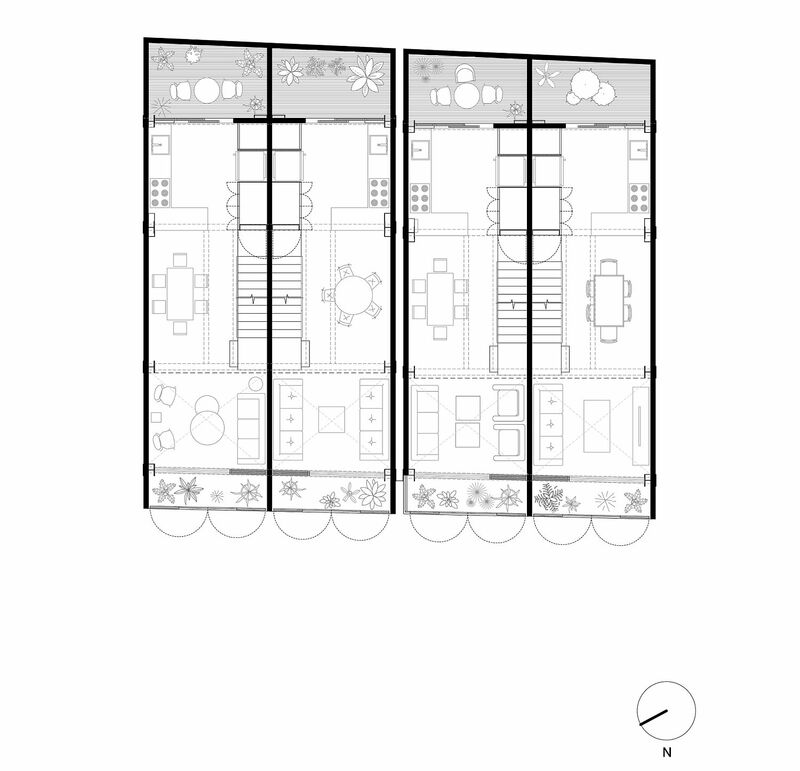 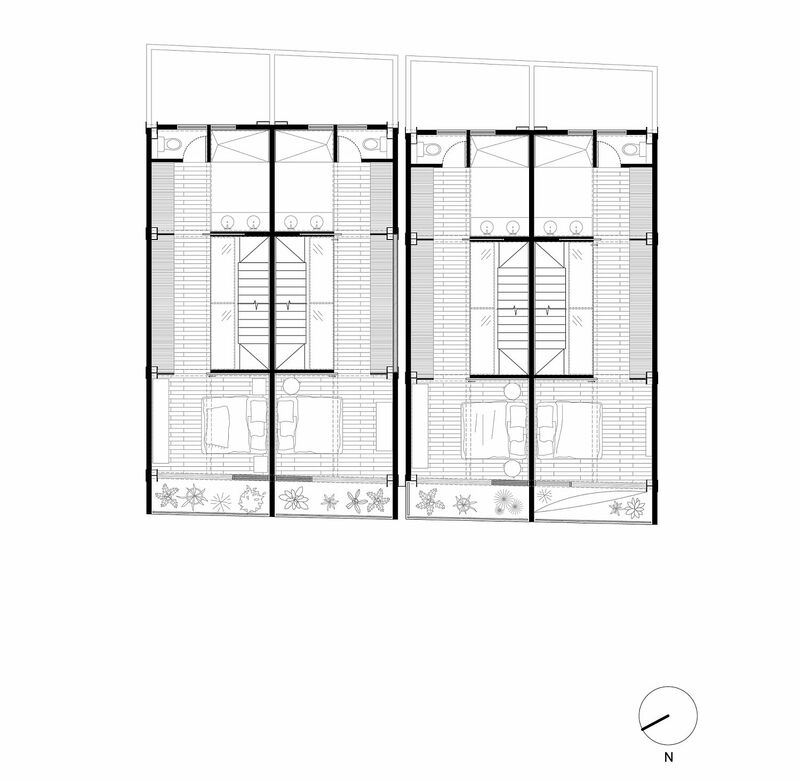 Designed by envase, the project sees four townhouses taking shape on two adjacent lots and each of the townhouse does its best to maximize space across its multiple levels. 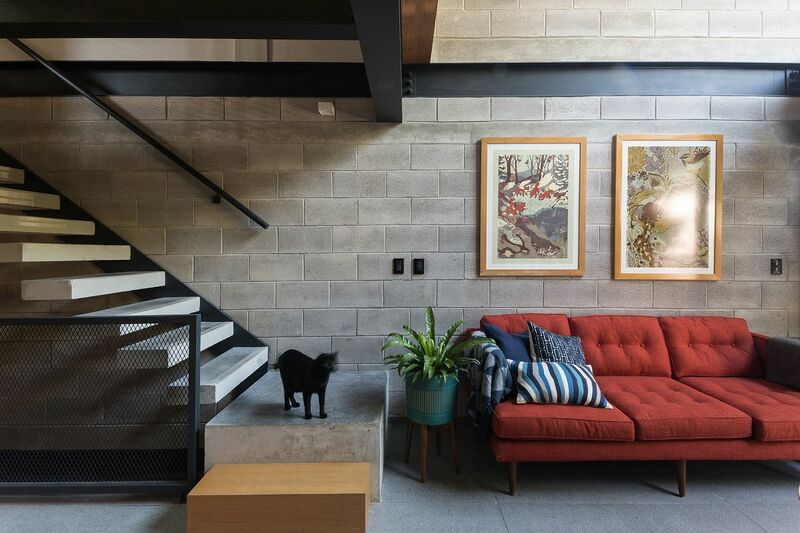 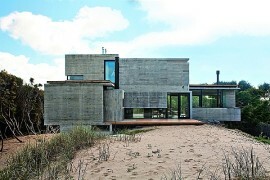 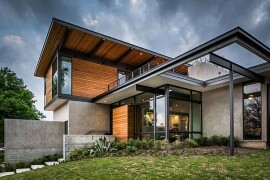 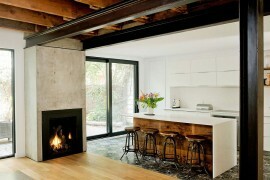 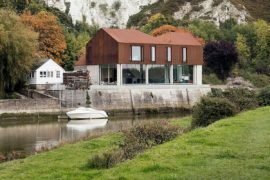 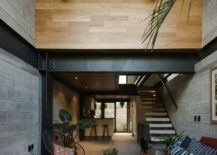 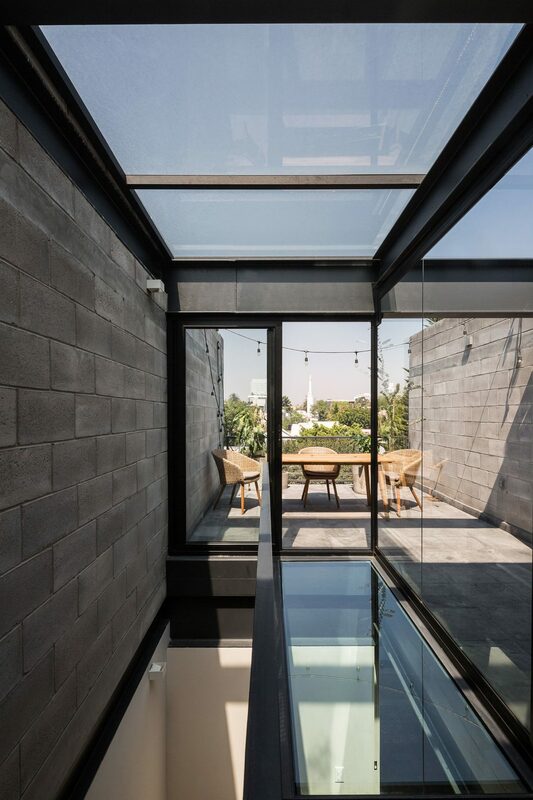 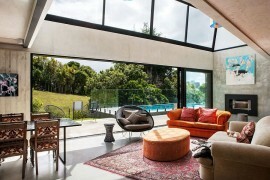 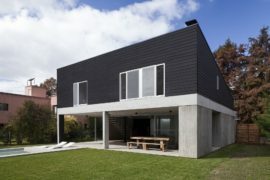 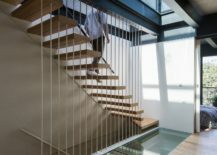 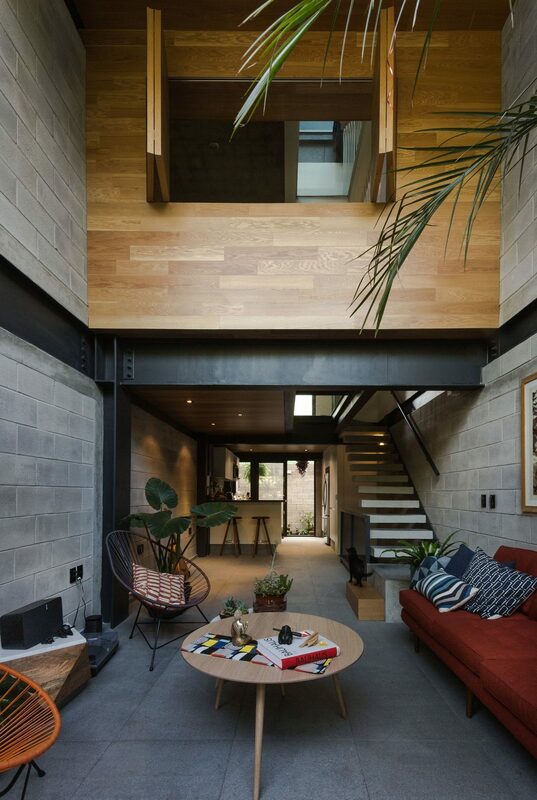 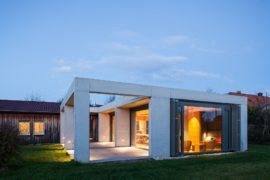 The basic structure of these townhouses was created using concrete and steel with glass being used extensively on the upper levels to bring in a flood of natural light. 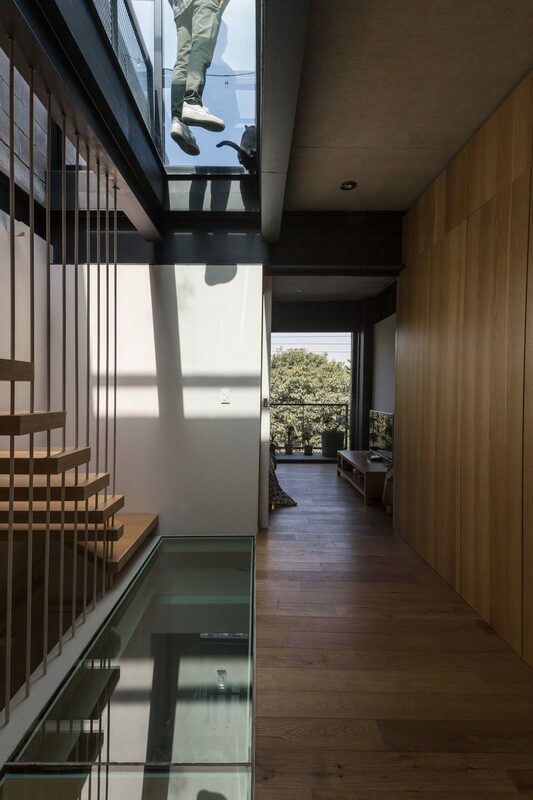 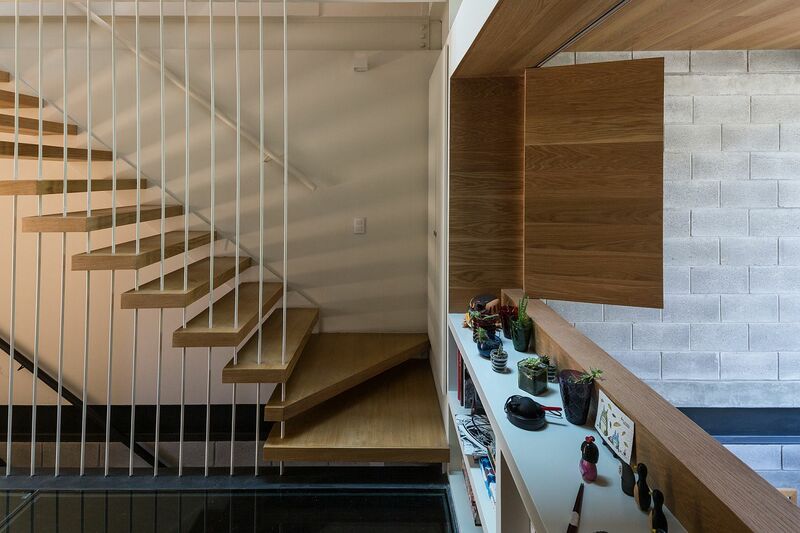 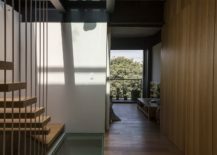 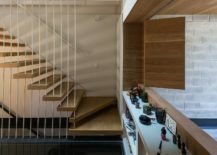 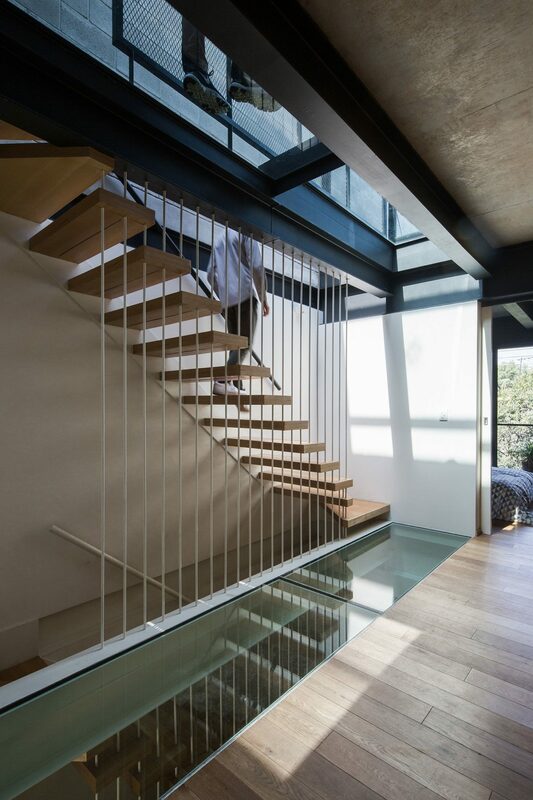 Moving away from this minimal and almost ‘steely’ visual appeal of the interior, it is a wooden volume on the second level of townhouse that holds private spaces. 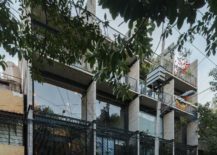 The vegetation plays a central role, contrasting the dominant material of steel and concrete at the outside of the houses, the balconies and terraces allow the trees and plants to embrace each unit. 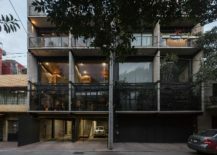 Constructive elements are exposed to present the project as a progressive housing infrastructure that can adapt to programmatic modifications in the future.